Alpha was released on 242d ago in the UK and the US. Based on 11 Alpha Cinema reviews, Alpha gets an average Cinema review score of 64. The score for all versions is 64 based on a total of 11 reviews. 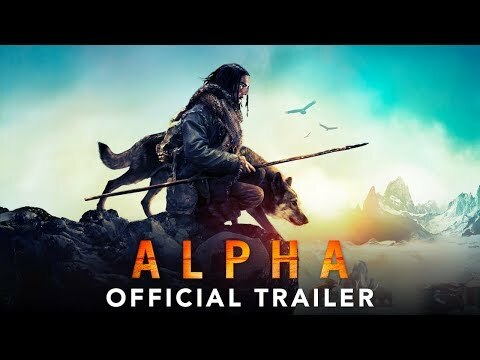 Albert Hughes' prehistoric survival yarn, starring Kodi Smit-McPhee as a hunter who befriends a wolf, is a conventional tale told with dazzle. Albert Hughes' first feature without brother Allen imagines the birth of man's friendship with canines. ‘Alpha’ is a boy-meets-wolf love story, set in the Ice Age. And yes, it works. In fact, the two stars of Alpha are not Smit-McPhee and the canine actor but Martin Gschlacht and Sandra Granovsky, the film’s cinematographer and editor, respectively. Throughout Alpha, a sense of modernity is retroactively applied to primitive human society.